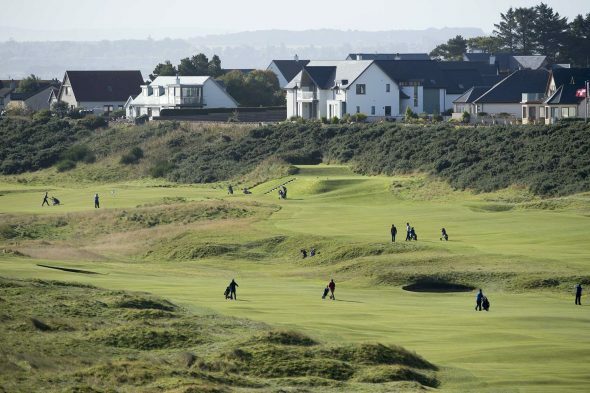 The four-day event will be held from 24-28 September 2019 at Royal Dornoch Golf Club and Castle Stuart Golf Links and will feature 16 teams from across the world. Players will also hold a practice round at Brora Golf Club. Ross, who was born in 1872 in Dornoch, grew up playing on the famous links and as a young man was the “Keeper of the Greens”. He was the first golf professional at Dornoch and went on to become one of the finest golf architects, designing courses in America, Scotland, Canada and Cuba. He was a founding member and first president of the American Society of Golf Course Architects and was admitted to the World Golf Hall of Fame in 1977. Among his many achievements, Ross designed and rebuilt four courses at the Pinehurst Resort. His masterpiece was #2 at Pinehurst which is one of the world’s most celebrated golf courses. It last held the U.S. Open in 2014 and will again stage the tournament in 2024. This month, Gil Hanse, who co-developed Castle Stuart with Mark Parsinen, will unveil his redesign of Pinehurst’s No. 4 course after a two-year ‘reimagination’ in which he said he borrowed heavily from the look and feel of No. 2. During his time at Pinehurst, Hanse lived in the Dornoch Cottage, Donald Ross’s home there, and described the experience as ‘one of the most meaningful things that has ever happened to me’. The inaugural Donald Ross Invitational, organised by Carr Golf, was held last year at Royal Dornoch and Brora and has been extended to include Castle Stuart for 2019. Marty Carr, from Carr Golf, said: “Adding Castle Stuart further enhances the tournament experience for golfers wanting to play the world’s very best courses, and in a competitive environment. Stuart McColm, general manager at Castle Stuart Golf Links, said: “We are delighted to be part of this occasion to celebrate such an iconic figure in golf. Golf has been played at Dornoch for more than 400 years. Dornoch Golf Club was formed in 1877 and Royal status was granted in 1906. Royal Dornoch Championship Course is regarded as one of the world’s finest links courses. It was ranked No.2 in the world by Golf Digest earlier this year and recently staged the Boys Home Internationals. Castle Stuart Golf Links opened in 2009. It has since held the European Tour’s Scottish Open four times and is ranked No. 53 in the world by Golf Digest. The Pro-Am event will include one round at Castle Stuart and two at Royal Dornoch. In addition, participants will enjoy four nights’ accommodation, welcome reception, prize ceremony, a sponsor’s gift pack courtesy of Donald Ross Sportswear, daily meals and on the ground transportation (flights not included). Teams will be made up of one PGA professional and three amateur players. PGA professionals will have the opportunity to compete for $20,000, while prizes are also available for amateurs.